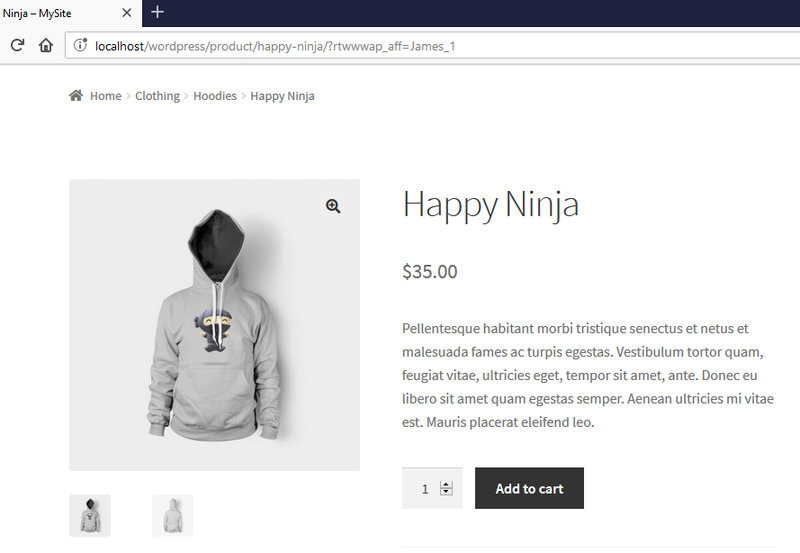 WordPress and WooCommerce AFFILIATE PROGRAM helps you to market your products through your affiliate team and through which you can generate more income from your Ecommerce site by having more visibilty and higher traffic. To achieve that you just have to install our plugin and sit back and relax with your friends/family. We got everything covered for you with dozens of features available. 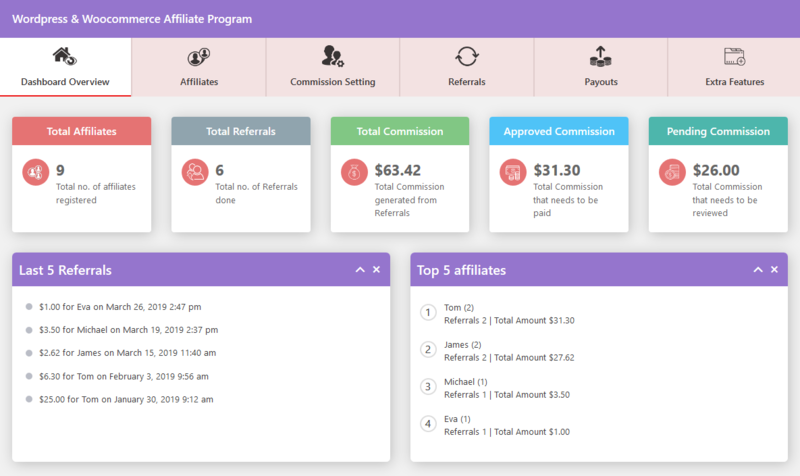 How AFFILIATE PROGRAM will help you? 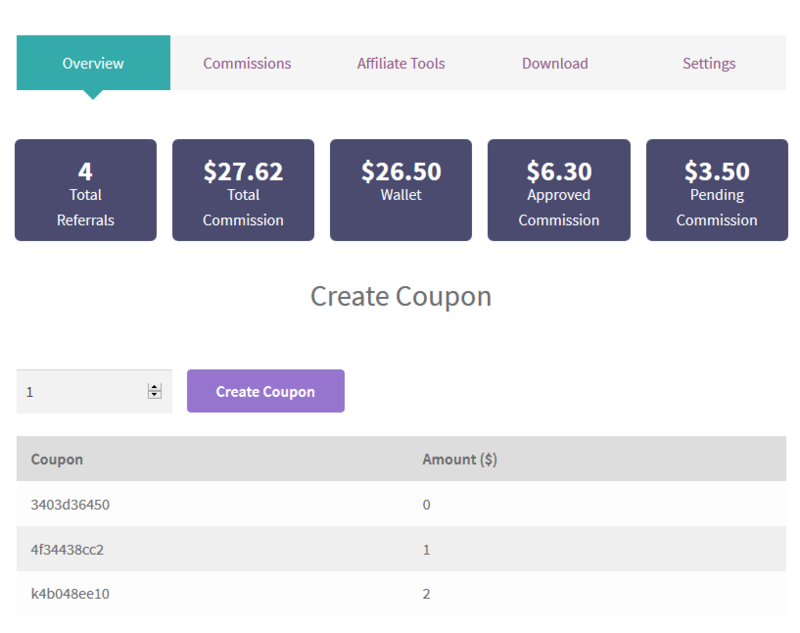 By using our Plugin you can run an AFFILIATE SYSTEM on your website. 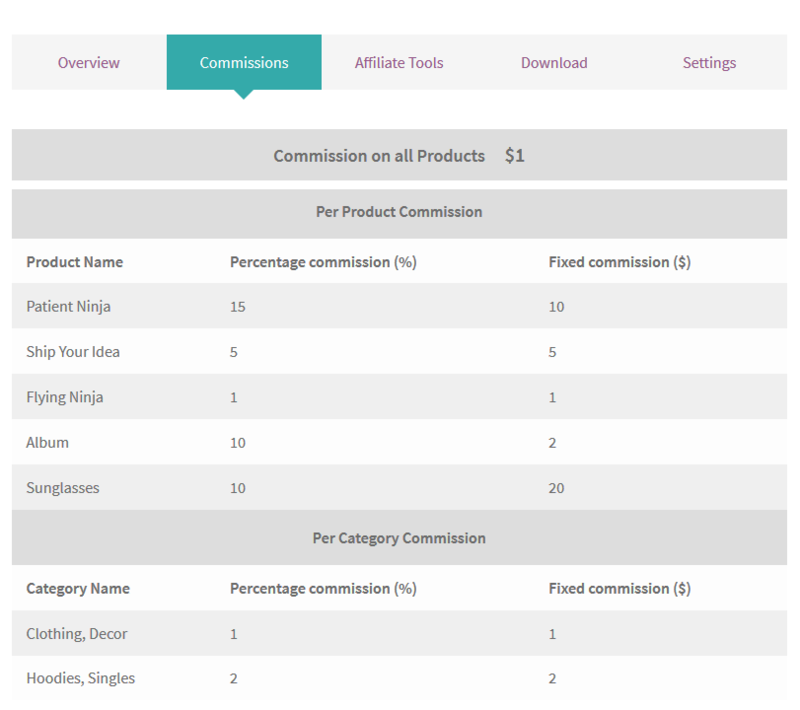 You can reward your Affiliates with different types of commission and bonuses. It will increase your site’s VISIBILITY on SEO engines. With our plugin you will surely reach the next level with INCREASED SALES. Your products will be marketed through different SOCIAL MEDIA platforms. Your site will get HIGHER TRAFFIC with all these features. You can create as many affiliates as you want to promote your products. 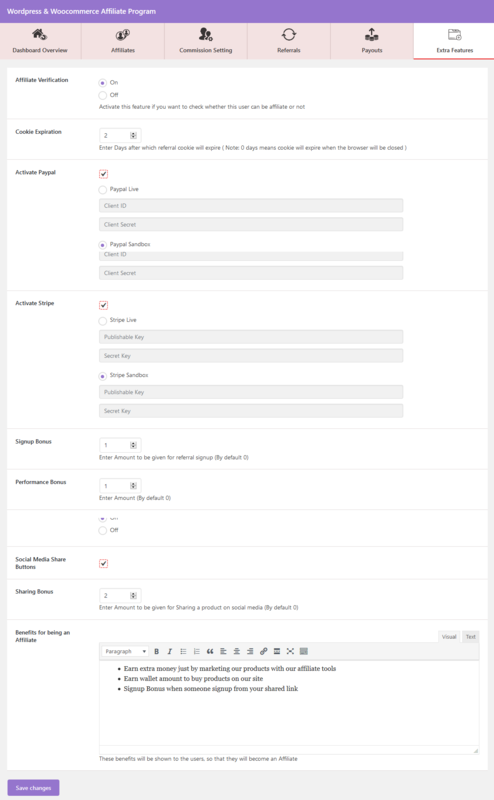 User’s Data will be appended in WordPress Export and Erase Personal Data Tools. These tools help the affiliates to market your products easily and effectively. You can set a maximum commission limit for a month, so that you don’t need to pay your affiliate once that threshold limit is reached. With this functionality an affiliate can share the product’s affiliate link on social media platforms like Facebook, Twitter, Gmail, Whatsapp. 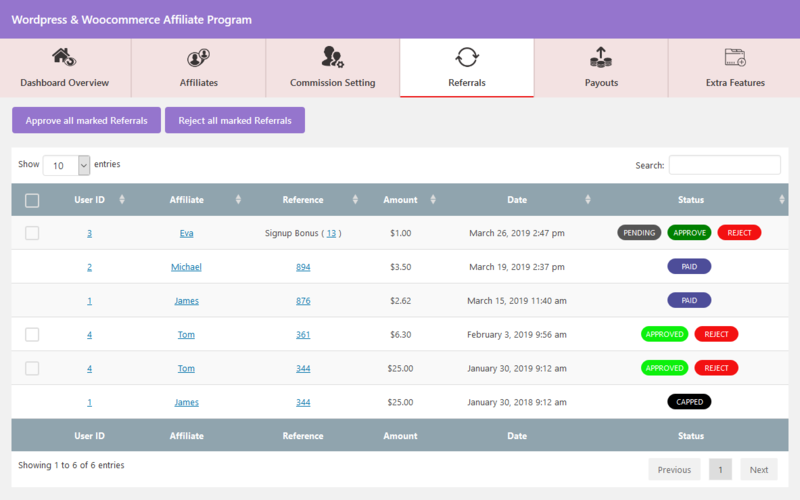 Own Referral – Affiliate can generate commission by buying from his own referral link also. That means it’s a win win situation for you and your affiliate. Dynamic & Conditional Commission Rules – Commission on products can be set in 3 different levels. 1st Priority – Per product 2nd Priority – Per category 3rd and last Priority – All Products. Coupons – Affiliates can generate coupons of their earning which can be applied while buying product from your site. Paypal Payouts – Do multiple payouts with just a single click. 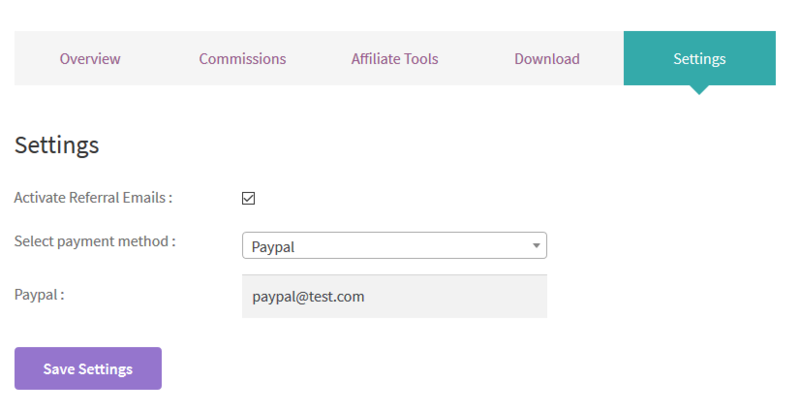 All of your affiliates with paypal account will get the payout with just a single click. Stripe Payouts – Use Stripe’s payment gateway to pay US affiliates. Banner Generation – Affiliate can generate product banner that they can directly use on their marketing platforms. Link Generation – Affiliates can create a referral link for any product with just a few clicks. QR code – Referral links can be shared through QR codes. 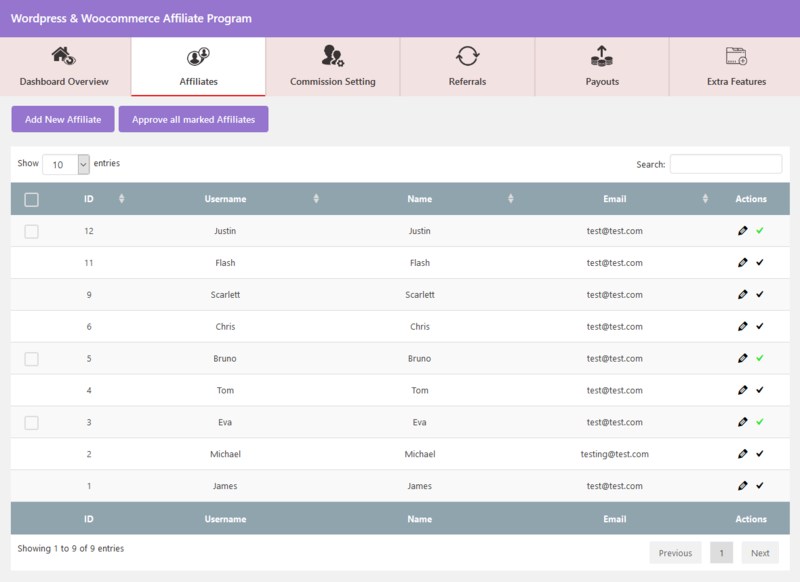 Referral Notification – After a successful referral, an email with all the commission details is sent to affiliate. Different Commission Types – 3 different types of commission can be set to a specific product/ a category/ all products. 1. Fixed Price Commission 2. Percentage Commission 3. Fixed + Percentage Commission. Performance Bonus – Provide an extra incentive when the affiliate unlocks an achievement. Withdrawal Fees – When you do payout with paypal/ stripe they charge you a fee but don’t worry we got that covered too. Set the amount which you want to deduct from the affiliate’s total commission before making a final payment. Dashboard Overview – Check each and every details about the referrals from our simple yet beautiful dashboard section. Affiliate Verification – You can verify the user before they become an affiliate. Unlimited Affiliates – Create as many affiliates as you want to promote your products. Affiliate Tools – Tools to market your products easily. 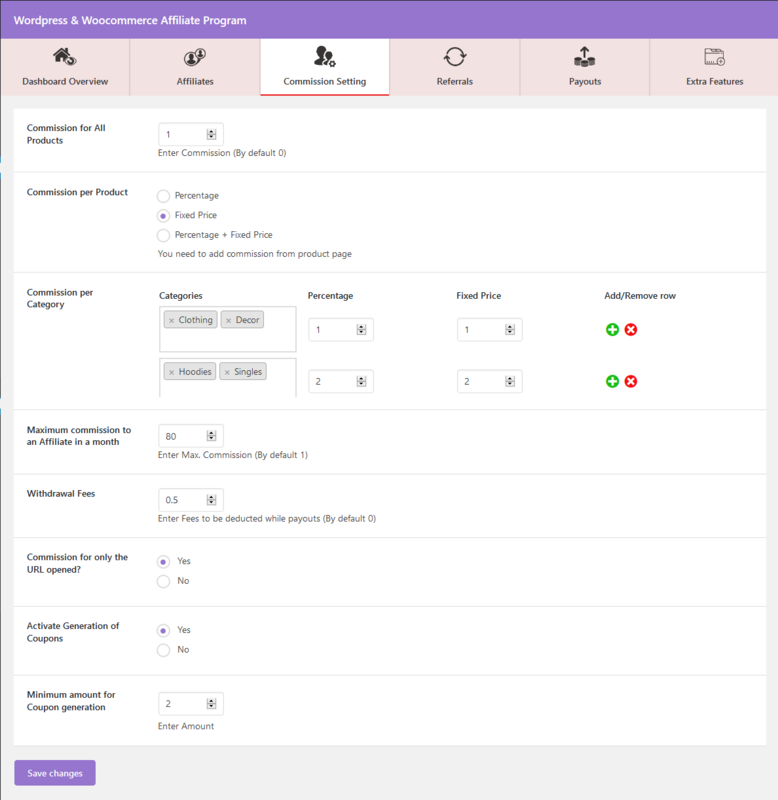 Notifications – You can send the latest commission details via email for different products/ categories with just a single click to all of your affiliates. Share on Social Media – With this functionality an affiliate can share the product’s affiliate link on social media platforms like Facebook, Twitter, Gmail, Whatsapp. 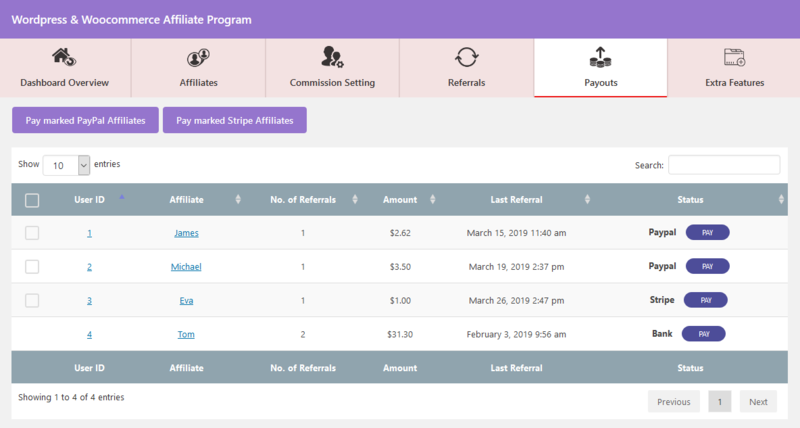 Signup Bonus – Get more users to your site by providing signup bonus to Affiliates when someone REGISTER from thier referral link. MLM – Multi Level Marketing ( Coming Soon ). PHP version 5.5.5 or greater. MySQL version 5.0 or greater. Thank-you for showing your interest in WordPress & WooCommerce Affiliate Program, RedefiningTheWeb.